Lionsgate and Summit sent over a trailer for the new war film Hacksaw Ridge. 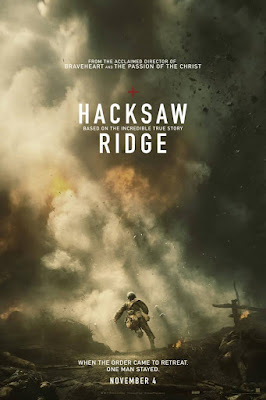 Set during World War II, the film tells the story of a man who wants to fight for his country, but his religious beliefs do not allow him to pick up a gun. He not only has to fight his country for the honor of fighting for his right to join his countrymen in war, but also the enemy on the battlefield. The film stars Andrew Garlfield, Sam Worthington, Tersea Palmer, Vince Vaughn, and Hugo Weaving. Say what you will about Mel Gibson, but the man can direct a film. This film looks gorgeous and touching at the same time.